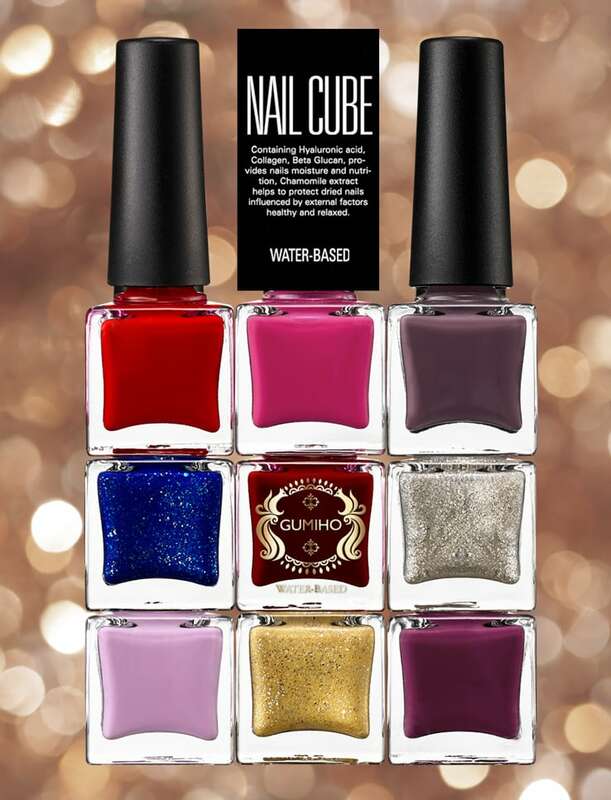 Ladykin Gumiho Water-Based Nail Cube the chemical solvents are replaced by water. 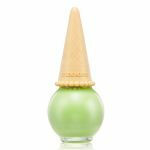 This water-based nail polish is a revolutionary advance, it does not contains any toxic ingredients such as toluene, acetates, formaldehyde, etc.. so it does not have any ingredients that has strong volatility and bad odor. 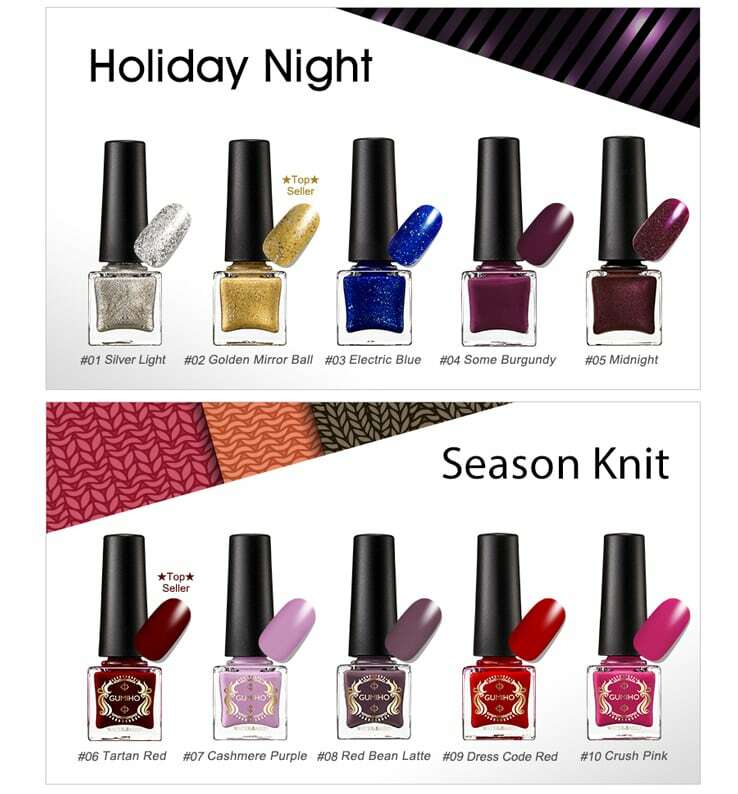 This Water based nail colors protect nails, gives nutritions to nails, and smells lovely with floral herb fragrance. 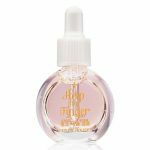 Containing Hyarulonic acid and Collagen, provides sufficient moisture and nutrition, keep the nails healthy and beautiful. Chamomile extract helps to protect dried nails influenced by external factors healthy and relaxed. Enjoy a fast Drying, Self-Shining without No heavy feeling. It takes only 30~60sec. 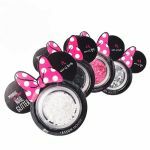 to dry and when applying nail cubes, you can see how glossy and beautiful they are! 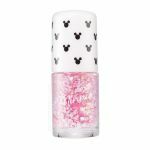 - How to use: In preparation for using Gumiho water-based nail polish, ensure that your nails are dry and free of grease, skin lotion and dirt. Clean your nails with soap and water. 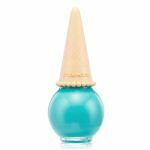 Oil and skin lotion repel water-based polish, so they may significantly affect the polishes durability. 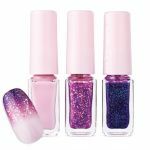 Water-based nail polish will not stain your nails anyway apply a firts coat of BASE & TOP COAT for long lasting effect. Apply a minimum of 2 thin coats and then additional thin coats to strengthen the color and for long lasting effect and to avoid streaking. Brush on lightly and evenly. Allow the polish to dry between coats – 30 seconds, or more, depending on the humidity and temperature. Apply one end coat of BASE & TOP COAT for a greater resistance to chipping and gives that extra professional touch to your manicure. 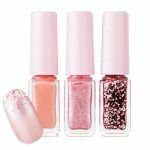 - How to remove: Enjoy the peeling effect, gently scrape off the polish using your fingernails, or a flat tipped wood stick and peel-off it. 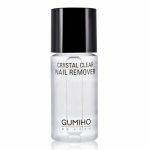 Remove any residues with the Gumiho Crystal Clear Nail Remover which care your nails with a lot of essential oils and nutrients.